German is the third most popular foreign language taught worldwide and among the ten most commonly spoken languages in the world. Many of the Western world’s most important works in philosophy, literature, music, and science are written in German and continue to be produced in German. German is the second most commonly used scientific language in the world. Learning German can connect you to 120 million native speakers around the globe. Students majoring in German are urged to study abroad in one of the approved programs in a German-speaking area. Many German majors study in Freiburg, Munich, Heidelberg, or Hamburg. The Europe in Transition Program is a Spring semester, comparative-studies, field-research program in Poland, Hungary, Czech Republic, and Germany. It explores the process of transition to a post-industrial, post-communist, European Union. Financial aid is available for all approved programs. 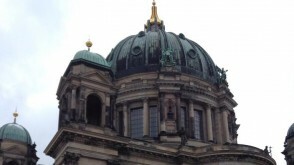 German Studies: The German Studies program prepares students planning careers in international law, foreign service, and international business. German Literature: German Literature focuses on writings in German from present-day German nonfiction to the prose, drama, and poetry of Goethe. 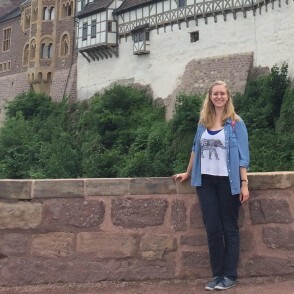 Religion major and German minor Kiersten Payne ’17 traveled to Wittenberg, Germany, to study how the secularization of German society impacts the practices of Christians and Christian churches in Wittenberg, where the Protestant Reformation began. 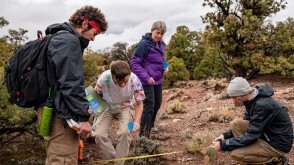 Students majoring in German are urged to study abroad for a semester in one of the approved programs in a German-speaking area. 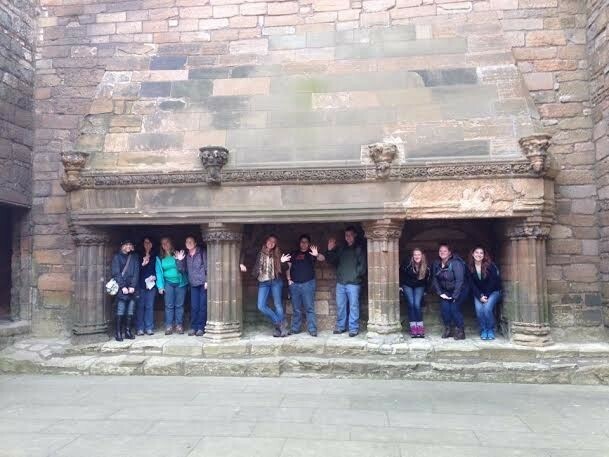 Also, Travel-Learning Courses combine classroom study with travel to areas you've learned about in class. 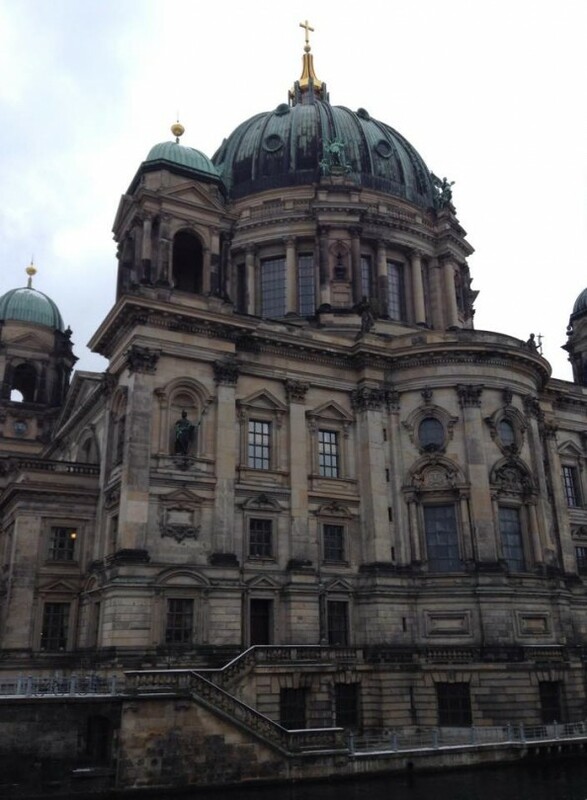 Travel-Learning courses in history, chemistry and astronomy have included travel to Germany. Megan Pinto '14 received a Theory-to-Practice Grant to study the impact of immigrant artists on Berlin’s flourishing, international arts scene. 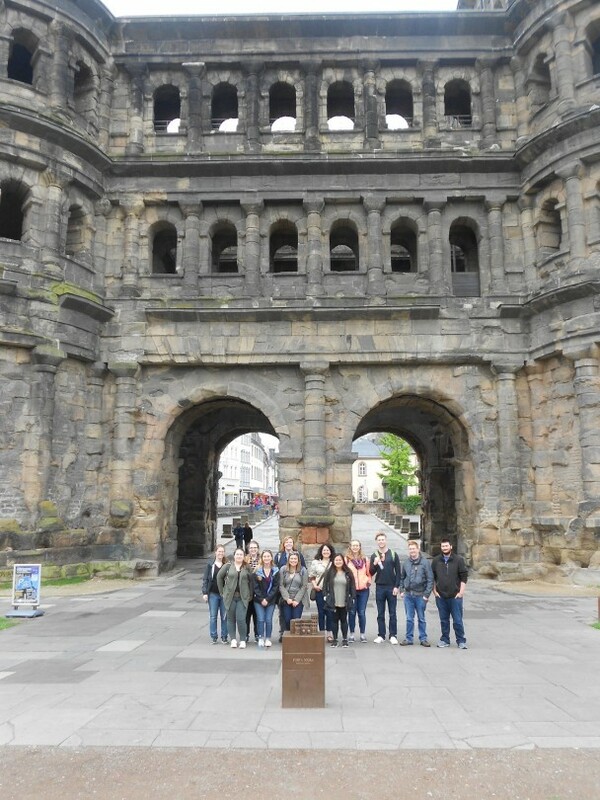 Students in Dr. Arnold's "Castles and Cathedrals" course explore the castles of Germany and their role in the political and religious systems of the time period they were built. 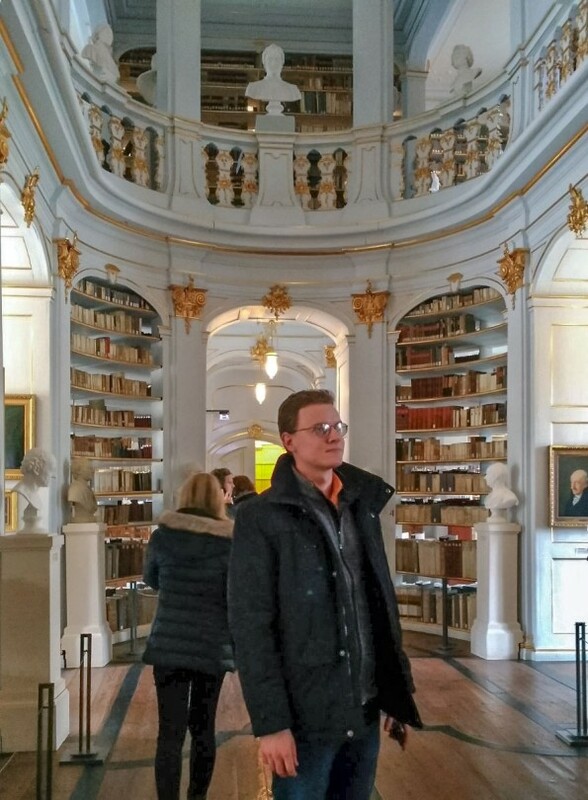 Mark Mandych ’16 spent a semester studying at the University of Salzburg in Austria, and volunteered as an English teaching assistant at a local high school. 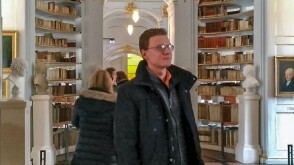 During his senior year, he won a Fulbright U.S. Scholar Program grant to spend 10 months teaching English in Germany. 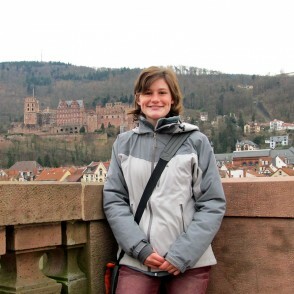 German Studies and Zoology major Emily Johnson ’15 used an OWU-funded Theory-to-Practice Grant to study which trees were preferred by foraging European Nuthatches in Germany. Build your experience and connections to the professional world with internships and OWU-funded grants that help you put theory into practice. 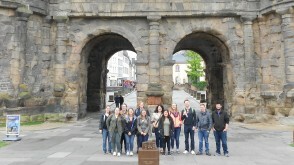 Many German majors travel to Germany to connect their classroom learning with real-world experience. Megan Pinto ’14 received a Theory-to-Practice Grant to study the impact of immigrant artists on Berlin’s flourishing, international arts scene. Students can apply to live in two different Small Living Units that focus on learning languages and celebrating international cultural diversity. In the House of Linguistic Diversity (HOLD), students can explore and share their interests in language, diversity, and culture. 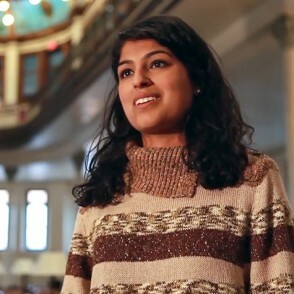 The house hosts language talks and other cultural events on campus. 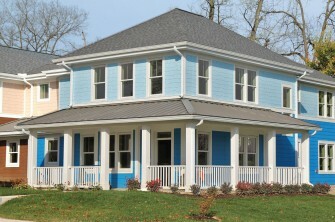 The Citizens of the World House provides international, social, and cultural events and discussions from members who are from both near and abroad. Phi Sigma Iota is an international honor society whose members are selected from among outstanding students of foreign languages and literatures including classics and comparative literature. Its primary objectives are the recognition of remarkable ability and achievement in foreign languages and literatures, and the stimulation of advanced work and individual research in these fields. 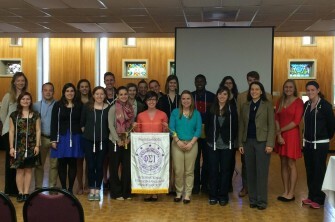 OWU’s chapter was founded in 1978. 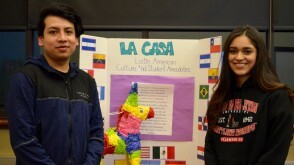 The Language Learning Center (UN 213) offers language students a space to read, study, work on projects with classmates or attend language tutoring sessions supported by the MFL department. Advanced students and/or native speakers can apply to become language tutors with faculty endorsement. Members of the Modern Foreign Languages student board have several responsibilities which can include serving as liaisons between students and faculty, interviewing candidates for faculty positions, evaluating MFL faculty for retention, merit, promotion and/or tenure, occasionally developing a program or programs involving outside speakers, and planning MFL special events. 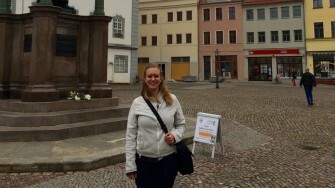 Kiersten used a Theory-to-Practice Grant to study Christianity and society in Germany. 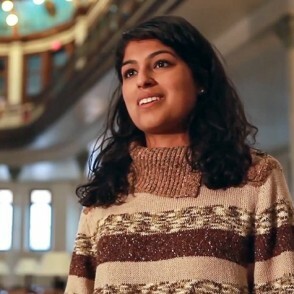 She is currently pursuing an MA in the History of Christianity at Yale Divinity School. Cameron Hewitt '98 majored in German and studied Spanish at OWU. Since 2000 he has worked for travel guru Rick Steves and is now Steves' lead editor and coauthor. He has traveled to and written about more than 35 European countries and appears on radio and television. 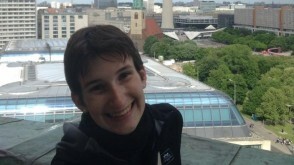 Josie DiNovo double majored in German Studies and English, and spent a year abroad in Frankfurt. She now works as a Copy Editor for The Freedonia Group in Cleveland, Ohio. 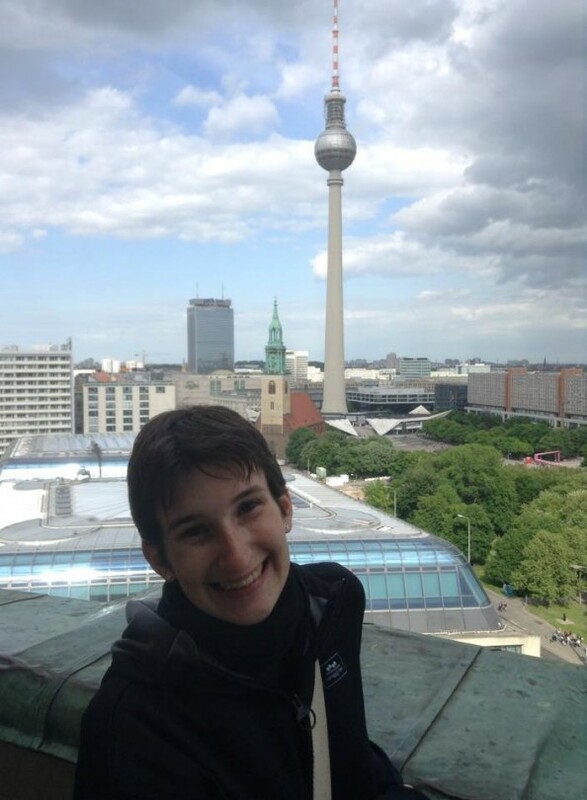 Michele Gilbert '11, a German and Psychology double major, earned a Master’s of Public Health degree at Columbia University and is now a senior consultant at Booz Allen Hamilton in Washington, D.C.
Mark Mandych '16 earned a Fulbright grant to teach English in Germany for ten months. While at OWU, he studied abroad at the University of Salzburg in Austria and helped teach English to high school students. 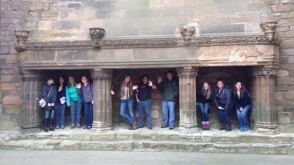 Dr. Wolber holds a German class outside. You can participate in a Travel-Learning Course as early as your first year, and study abroad your Junior or Senior year. Dr. Arnold's course is popular among German, AMRS, History, Religion, and French majors. 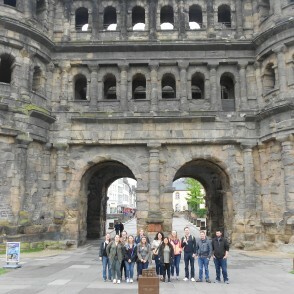 An OWU Travel-Learning class explores Porta Nigra, a large Roman city gate in Trier, Germany. It's the largest Roman city gate north of the Alps. 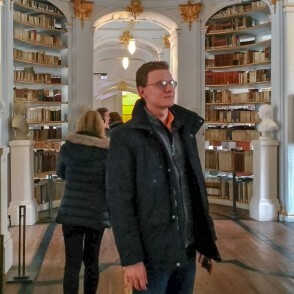 Mark Mandych ’16 explores the Duchess Anna Amalia Library in Weimar, Germany, during his time as a Fulbright Scholar in the country. 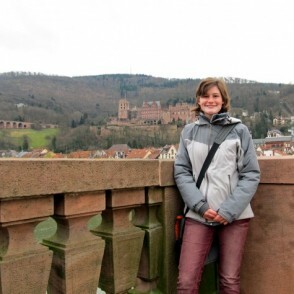 Sarah Lucas '16 spent a semester studying abroad in Germany.